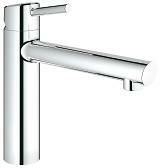 Concetto combines stylish minimalist design with superior ergonomics to reflect the core values of the Cosmopolitan design. 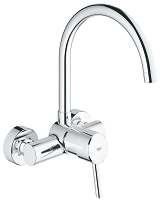 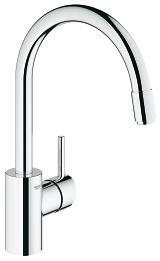 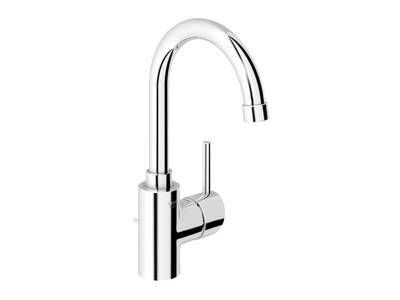 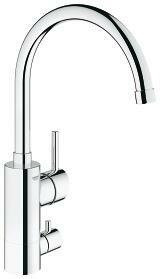 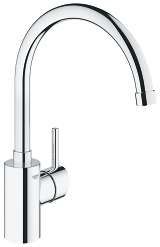 Consisting of a series of cylinders, an arched or medium height spout rises elegantly from the sink. 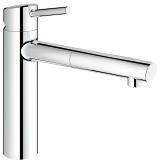 Its purist beauty is highlighted by the high-gloss GROHE StarLight® chrome finish which repels dirt and prevents tarnishing. 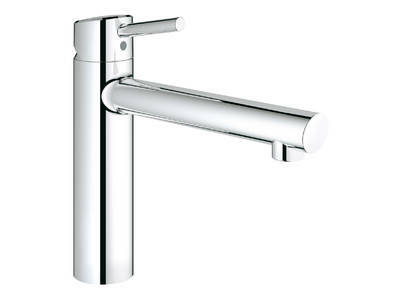 GROHE SilkMove® technology enables fingertip control of water flow and temperature.